It boggles my mind that, whatever I’ve managed to do with my golf swing motion in the past 13.5 years since beginning my research, my longest drives and highest club speeds may actually still lie before me. At 48 going on 49 (next March), that is pretty heady stuff. However, knowing what I’ve been working on and the breakthroughs I’ve made with my own motion to get even closer yet to the MCS Golf Swing model theory – it could be true, even with the decline brought on by Father Time. I should know in the next few weeks as I prepare to get in some swing work at the Dome after the New Year, to see how things are before heading back to the TXG Golf facility to get some numbers to compare with last summer. But the point I want to make today is that my visual of the swing has undergone a drastic changes since I figured out my tightest pivot action possible and discovered what it does. I mentioned that the SwingRite setting has gone down to 1 and I was still able to click it easily, and it has to do with the right or power arm as a lever. … and of course, I’ve been harping on the right arm action and the low trailing heel for a couple of years now, mostly showing Mike Dunaway as a classic example. … and the best way I can explain the nature of the importance of the footwork has to do with what the hips and legs are doing in conjunction with the arms. You have two arms that you use as Levers, in addition to the 3rd Lever, the wrists, but the first 2 levers, need a base – and each base for each arm is the corresponding foot! 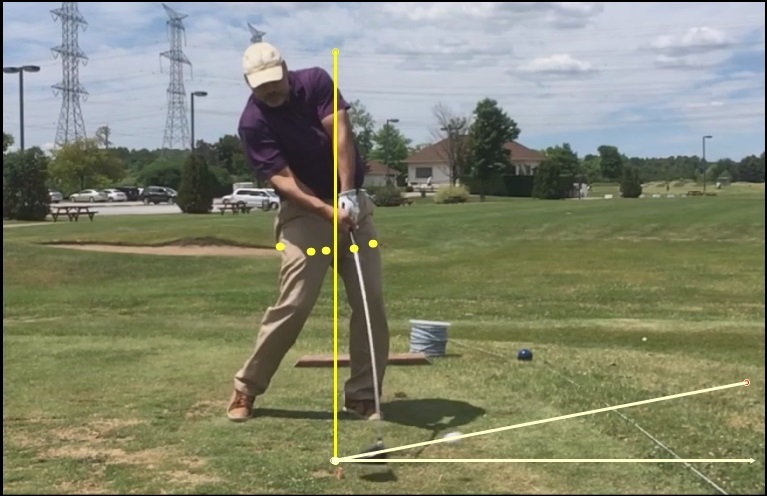 My issue to this point has been in figuring out my right arm action due to being left-handed, but the revelation on how to tighten my pivot to be able to duplicate the above action with a real golf swing has been my project this past year. I’m not trying to keep my trailing foot down in the above gif. you see – that’s the natural action that occurs when I swing without having to hit a ball, and my problem has been what happens to many others – for some reason the mind goes haywire when you have to translate a motion into hitting the ball for real. The natural action is that when you use the hips for leverage and power, the trailing heel stays down when you do it correctly, and of course the leading foot never moves after the heel drops back, as it is the base upon which you finish the motion! 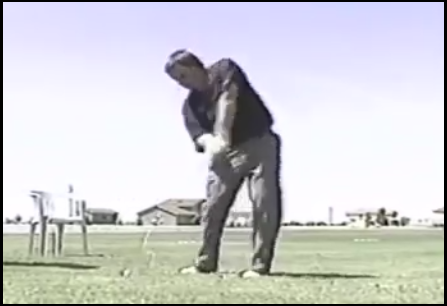 If you are swinging DOWN with the club, how exactly is leaving the ground helping you power your swing? Would you jump up to throw a ball into the ground? Even if you were to throw progressively harder, would you ever entertain the notion of leaving the ground to throw DOWNWARDS harder? 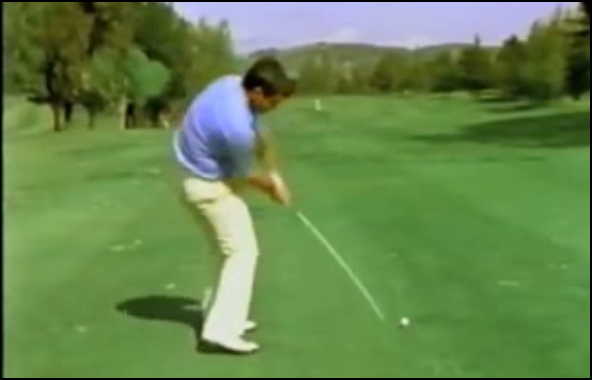 And as for saying that you need “vertical lift” to get the ball into the air, that is complete nonsense, as any one who has ever watched a baseball player swing for the fences and try to loft the ball – they aren’t jumping into the air to get “vertical lift,” because the golf club and bat both will come back up in a circular swing motion. You are swinging FORWARD with the Baseball Swing and you are swinging DOWNWARD with your Golf Swing. 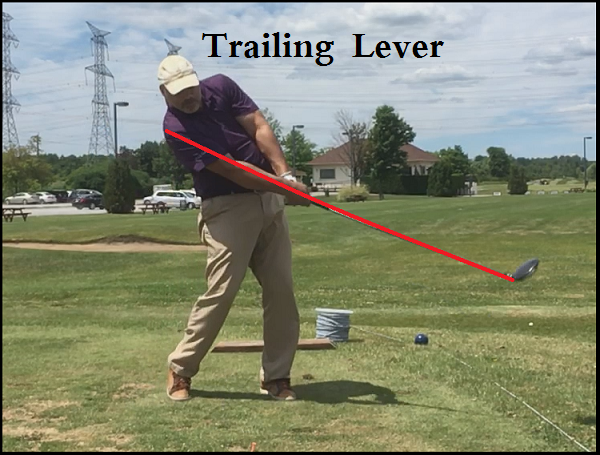 So, if you’re swinging a golf club DOWN from the top at a ball below you, then you need a base upon which to support and stabilize your first 2 Levers, them being the Leading Arm and the Power Arm, both of which are attached through the shoulders, collar bones and spinal column. In that regard, to get the most power out of your Power Lever, you don’t want your base for that lever (the trailing foot) doing much. Of course, everyone who has the “MCS – The Kinetic Chain” video had all of this explained with regards to power and leverage with the hips and legs when it comes to the footwork, but it bears repeating. Buckle up, my friends – 2019 is on the way and there are things to explore with the MCS Golf Swing model! 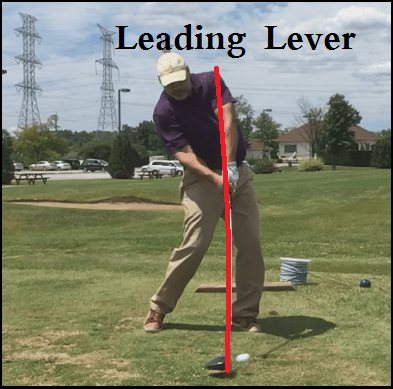 This entry was posted in Golf Swing Biomechanics, Leverage, MCS Golf Swing, Mike Dunaway, Pivot and tagged DJ Watts, Golf Swing Biomechanics, Leverage, MCS Golf Swing, Mike Dunaway, Pivot, WAX Golf on December 22, 2018 by D Watts.